No picnic or backyard party is complete without a watermelon or two. Watermelons are so popular in fact, they are actually one of the most-consumed melons in the entire US, according to statistics. While we usually associate watermelons with fruit, they are actually both a fruit and a vegetable and are related to cucumbers, pumpkins, and squash. No wonder this melon contains so many nutrients (1)! These fruit/vegetables are nearly devoid of any calories, being 91 percent water, which makes them a dieter’s best friend. But these refreshing treats are not just a July 4th staple, they also pack a serious punch when it comes to vitamins and nutrients. 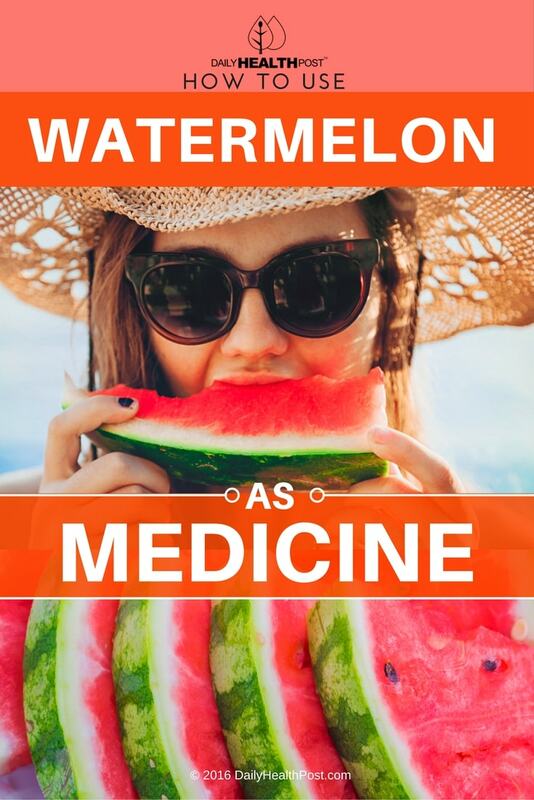 Just one cup of watermelon gives you 21 percent of your entire vitamin C intake and 18 percent of your vitamin A requirements, according to the USDA (2). Although we don’t typically do so, you can actually eat the rind of a watermelon, which some say is another reason why they are considered a vegetable. A recent study compared the nutrient content of the flesh and other various parts of a watermelon and they determined there are some pretty impressive concentrations of phenolic antioxidants, flavonoids, lycopene, citrulline, and vitamin C in every part of the watermelon (3, 4). In short they are much more than a favorite summer food! You’ve probably never heard of these before. 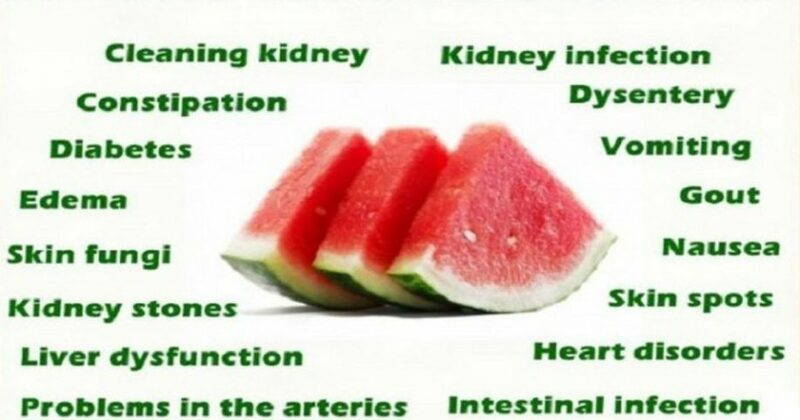 One new study determined that eating watermelon, especially the rind, may hold the key to erectile dysfunction! Citrulline, an amino acid that is found in all parts of a watermelon, is found in greater proportions in the rind in many cases. This powerful amino acid is associated with numerous health benefits and it can even help to relax blood vessels, much like Viagra, according to one study. Other studies also show that citrulline increases blood flow, a key factor in erectile dysfunction (5). When eaten, citrulline is further converted to arginine through specific enzyme actions. Arginine, as other studies show, is an amino acid that is highly beneficial for your heart and circulatory system as well as your immune system. Researchers also conclude that arginine can help the urea cycle by removing ammonia and other toxic compounds from your body (6). In total, researchers found that arginine can be helpful in over 100 health conditions (7). While many studies show that the nutrients and minerals in watermelons can help to soothes sore muscles, one study in particular found that men who drank natural, unpasteurized watermelon juice prior to their workouts, had reduced muscle soreness 24 hours later compared to those who drank a placebo (8, 9). Another study showed that just one dose of citrulline or watermelon juice as a pre-exercise supplement can be enough to improve your exercise performance, although higher doses are still safe (10). While you might think weight loss is a given based on the fact that there are only 46 calories in one cup of this delicious fruit, another reason watermelon is so helpful for losing weight is strictly chemical based. Based on this, researchers believe that “…the connection between citrulline in food, arginine production by nitric oxide synthase, and fat cell metabolism, may eventually provide additional tools for helping prevent over-accumulation of body fat.” While more research is needed, this is definitely promising news (11).